British Car Auctions (BCA) is warning motorists that 4x4 values have already started to rise – and will climb further as Winter weather takes hold, with severe conditions predicted across much of the UK. September saw the value of four wheel drives begin to climb sharply, with prices now getting close to those seen in January and February this year. 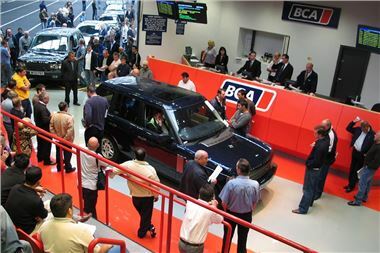 The average value for all 4x4s sold by BCA in September rose to £12,805 from £12,509 in August and £10,381 in July. September recorded the second highest average 4x4 value so far this year and there is every indication that values will rise further in the colder months ahead. Tim Naylor from BCA believes anyone in the market for a 4x4 would be wise to buy now, especially as last year’s early snowfall caught out many people. So what should buyers be looking for? “When it comes to choosing a 4x4, buyers should look for a high specification vehicle to ensure it retains its value,” continued Tim Naylor. “Alloys, leather interior, air-con and sat-nav all add value. Buyers also like ‘rugged’ accessories, such as mounted spotlights and a roof bar, and these accessories can drive prices up too. “Performance and torque could also be important for future buyers and diesels are generally more popular although petrol does well as long as the mileage isn’t too high.